This sample 12 day (11 nights) itinerary covers all three of the Caucasus countries, with overnights in Baku, Sheki, Sighnaghi, Tbilisi & Yerevan. You'll travel by private transfer between the destinations for maximum comfort. Our Destination Manager in the region provides assistance before and during your travels. They will be available to you leading up to the trip to answer any questions and arrange local services. You will be provided with information on the best these destinations have to offer including things to see and do, restaurants, entertainment and other insider tips. Upon arrival we will provide you with a local cell phone that you can use to contact our Destination Manager throughout your trip. In all of our destinations we offer a variety of accommodation options including boutique style hotels, charming B&Bs and spacious apartments ranging from a three to five star level. From our first hand experience we can ensure they are all clean, comfortable and centrally located. We generally discourage chain hotels but provide accommodations with unique features or an authentic feel. The picturesque mountain town of Sheki awaits you today, as well as the opportunity to explore more of Azerbaijan. 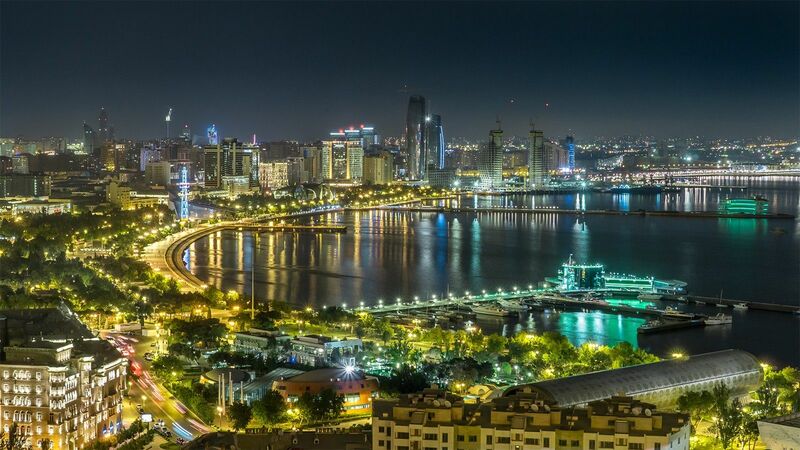 First, we'll arrange for a private car to pick you up at your accommodation in Baku and bring you to your centrally located Sheki accommodation. Along the way you will be stopping at the Diri Baba Mausoleum, where a saint named Diri Baba was buried and one of the most sacred places in Azerbaijan - Shamaki Juma Mosque. The vehicle used for your transfer will be a standard sedan, station wagon or minivan. Included : Baku -Sheki Private Transfer with stops at Diri Baba Mausoleum & Shamaki Juma Mosque. Depending on how many stops you choose to make on your way, you'll arrive in Sheki anytime from mid-afternoon to early evening. Your driver will take you directly to your accommodation. Please note that US citizens need a visa to enter Azerbaijan. This is not included in the package but let us know if you need help with this. This tour gives you the chance to see Azerbai­jan’s loveliest town, Sheki. You'll be picked up from your accommodation by your guide, who'll lead you on this two-hour walking tour. Highlights? Just about you everything you'll see is unique and historic, from monuments to buildings and winding streets. Don't forget your camera! A city of love Sighnaghi awaits you today. First, we'll arrange for a private car to pick you up at your accommodation in Sheki and bring you to your Sighnaghi accommodation. As you will pass through Gerogia's most famous wine region, Kakheti we included a few stops for you. Your first stop after crossing the border will be Khareba Winery where you can take a tour of the cellar and taste the traditional wines. Then as you continue your drive you'll stop Gremi Monastery for a short visit to get familiar with the Georgian history and architectural heritage. Your next stop is Tsinandali Museum and Park, where you can take a lovely walk and taste the white wine nearby at Shumi winery. Optionally you can stop by the Mosmieri Winery and have and additional tasting if time permits. The vehicle used for your transfer will be a standard sedan, station wagon or minivan. Visiting Sheki will show you the real, traditional Azerbaijan. Don’t miss this rural gem while you’re in the country. 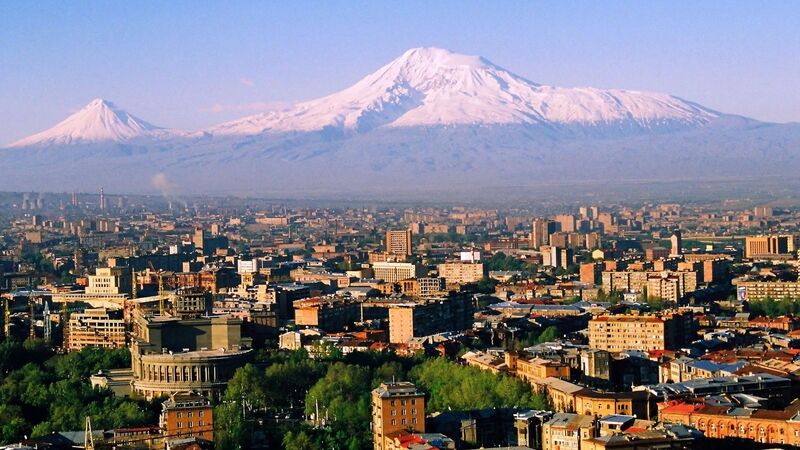 This city on the slopes of the Caucasus Mountains is much poorer than Baku and is still a little rough around the edges. But that just means you’ll get to experience the authentic side of Azerbaijani culture when you visit. There’s a small village atmosphere here. It’s an interesting contrast to other destinations in the country. You’ll also notice more of a religious element in Sheki than in some of the larger cities in Azerbaijan. The Islamic architecture here, like the Palace of the Sheki Khans, is truly impressive. 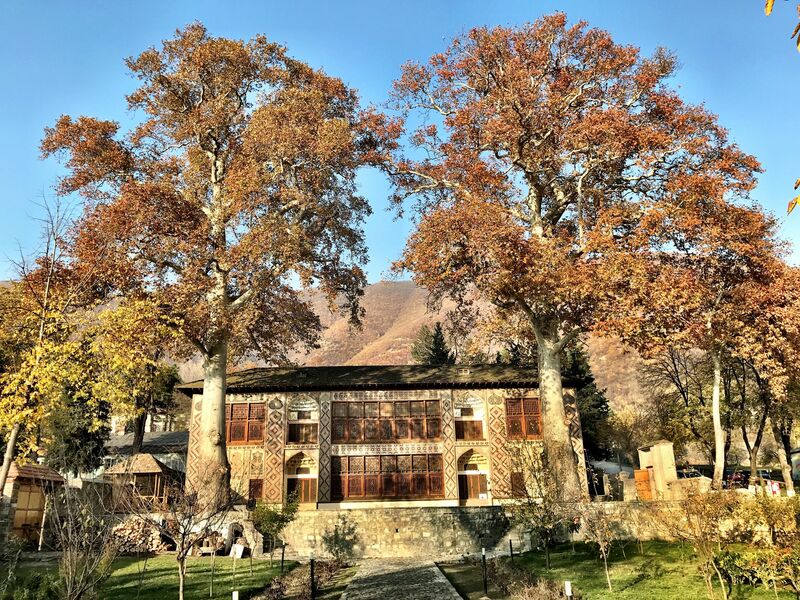 Sheki is ideal for a short stay. Other key sights are the bazaar and the caravanserai. Sheki is the perfect place to break up the journey between Azerbaijan and Georgia. After all, Sheki used to be one of the stops on the Silk Road connecting Baku and Tbilisi. Sheki's caravanserai were a welcome sight after a long day traveling. As well as being a stop on the silk old trading route Sheki was and still is a renowned producer of silks. While factory isn't easy to visit, you'll find the classic Sheki silk scarves on sale throughout the town. Beyond the city you’ll find lovely countryside. It's ideal for nature lovers, especially if you don’t mind a hawk swooping down for prey every once in a while! Depending on how many stops you choose to make on your way, you'll arrive in Sighnaghi anytime from mid-afternoon to early evening. Your driver will take you directly to your accommodation in the city centre. This fun tour will take you through Sighnaghi, the City of Love. Your guide will show you all of the most important sites, including the walls and towers, the wine museum, the Bodbe Monastery, and much more. It's the best way to see the city and to get an understanding of its history and culture in just 2 hours. Be prepared for an interesting day today as you say goodbye to Sighnaghi, hello to Tbilisi and have a brief visit to the rock-hewn monastery complex with hundreds of cave structures tucked away into the mountainside, David Gareja Monastery. Based on your preferred departure time, a driver will pick you up at your accommodation in Sighnaghi and your journey to Tbilisi can start. The vehicle used for your transfer will be a standard sedan, station wagon or minivan. 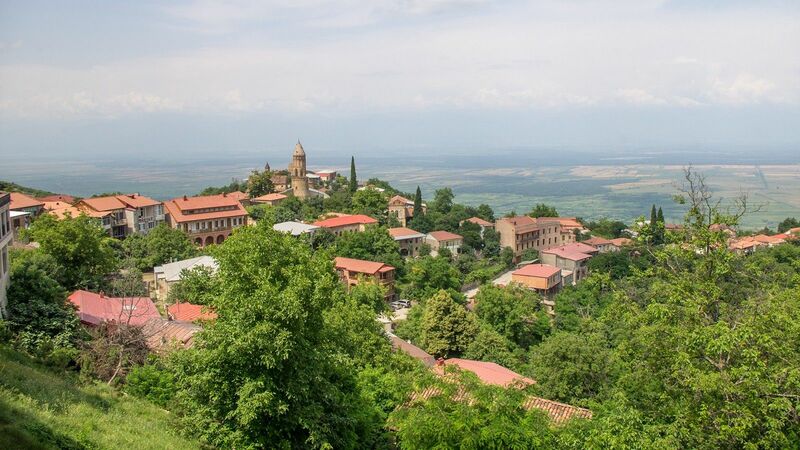 Sighnaghi is the prettiest town in Kakheti, sitting on a hilltop 60km southeast of Telavi and full of 18th- and 19th-century architecture with an Italianate feel. A big tourism-oriented renovation program has seen a rash of new accommodation spring up, but the town’s original style has been maintained. Sighnaghi has wonderful views over the Alazani valley to the Caucasus beyond, and is a pleasant place to spend a night or two. Hopefully they will have stopped the rented quad-bikes roaring up and down the main street by the time you get there. Sighnaghi was originally developed in the 18th century by King Erekle II, partly as a refuge for the area’s populace against Lezgin and Persian attacks. 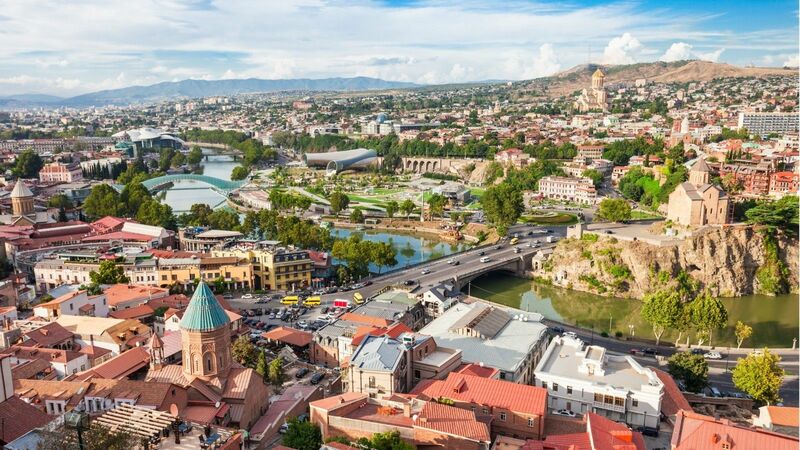 Be prepared for an interesting day today as you say goodbye to Tbilisi, hello to Yerevan and have a brief visit to two Byzantine monasteries Sananhin & Haghpat, the resort town Dilijan and high-altitude lake Sevan. Based on your preferred departure time, a driver will pick you up at your accommodation in Tbilisi and your journey to Armenian capital Yerevan can start. The vehicle used for your transfer will be a standard sedan, station wagon or minivan. An open-air market running between Hanrapetutyun and the Khanjyan Sts, the Vernissage is where you should come to source locally produced handicrafts including traditional dolls, brass pots and jazzves, ceramics and woodwork, as well as second-hand goods. It has the most stalls on weekends; the pickings can be slim during the week. Quality varies, and bargaining is only occasionally successful. This full-day tour is packed with historical and cultural interest. You'll be picked up from your accommodation in the morning and driven back there in the evening. In between you'll visit a UNESCO World Heritage Site, a mystical cave, a gorgeous temple and so much more. Admire the beautiful landscape as you cruise comfortably in the car. It will be an unforgettable day! Baku -Sheki Private Transfer with stops at Diri Baba Mausoleum & Shamaki Juma Mosque.